Pest description and damage The adult insect is a black sawfly about 0.25 inch long. The larvae are small, and light colored. The larvae feed between epidermal layers, creating large dark blotches on the surface of leaves. After the insects mature and leave, the affected areas turn light brown and crinkle. 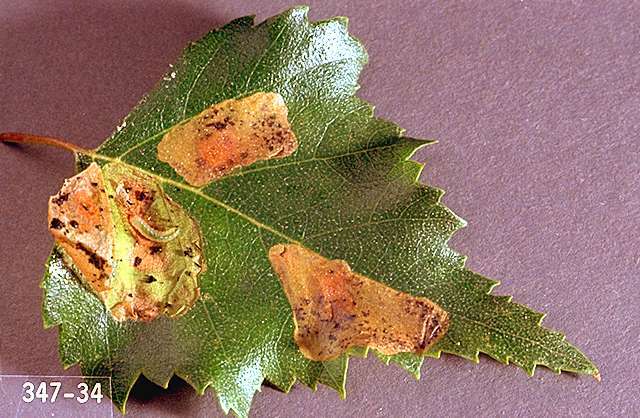 Aside from the effects on the appearance of the foliage, some defoliation and weakening of the tree can occur if leafminer larvae are present in large numbers. Biology and life history The insect overwinters in the soil as a pupa. Adults first appear in spring, when leaves are partly formed. The females lay eggs on upper leaves. After the eggs hatch, the larvae mine between the upper and lower epidermis of leaves. 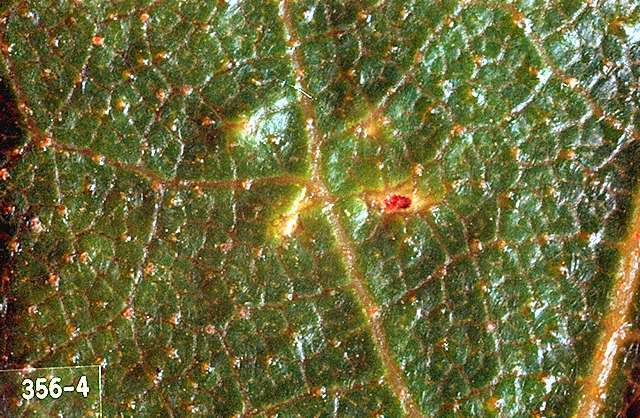 Several mines may coalesce to form a large blotch visible on leaves. After 2 to 3 weeks, the larvae drop to the ground and pupate. There are normally two generations per year. 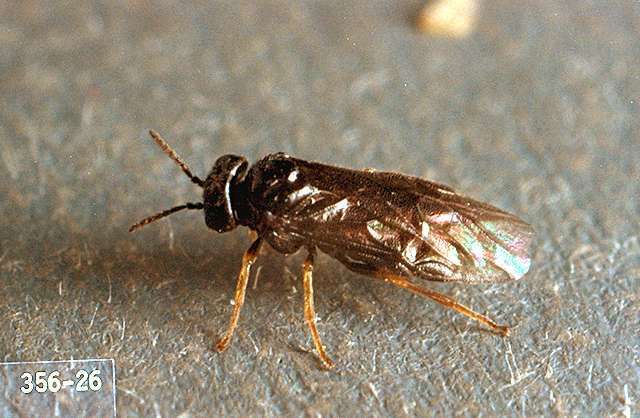 Pest monitoring Observe leafminer populations in spring and late summer to determine that they will remain at low levels. Periodically remove infested leaves to prevent leafminer increase. An increase in the number of leafminers is often followed by an increase in the number of natural enemies.